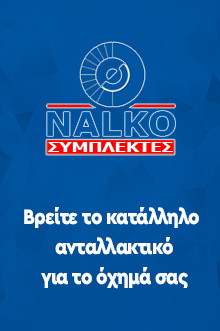 Nalko Company is located at 12 Nea Monastiriou Street, 1st by street, (next to Hellenic Petroleum and under the highway overpass of the ring road) in privately owned facilities. Clutch plate repairing, disc nailing, flywheel grinding surface, brake drums and brake discs lathing, brake skoes nailing and gluing. The import and the trade of new clutch spare parts, clutch parts for the repairing. Copyright © 2017, NALKO, All Rights Reserved.